Compliment the new scripts and templates with getting exclusive access to private mentoring behind the scenes with students enrolled into the Sales Boost Camp! Access over 12 hours of unreleased content covering details that will help you originate more Purchase and Refinance loans consistently. Whether you work in Retail or a Call Center environment, this will give you an upper hand against your competition! 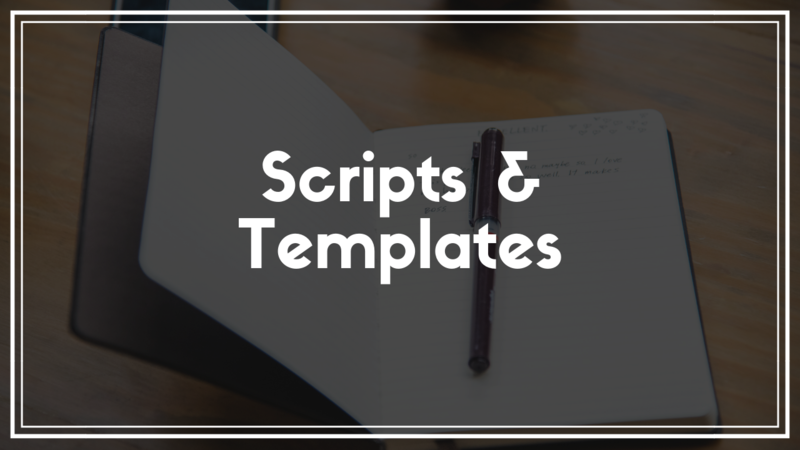 Get full access to the scripts and email templates that I personally use on a daily basis to generate millions of dollars in volume per month with ease! Each of the scripts and templates can be downloaded from this module.